Israel Air Force attacks 65 targets belonging to Hamas in Gaza. Iron Dome intercepts rockets over southern Israel. IAF fighter jets, attack helicopters, and aircraft struck 25 military targets belonging to the Hamas terror organization in Gaza overnight Tuesday, the IDF Spokesperson’s Unit said. The target strikes included sheds of drones used for terror purposes, a rocket manufacturing workshop, advanced naval weaponry, military compounds, training facilities, and a munitions manufacturing site. “This is an additional strike against military targets belonging to the Hamas terror organization, which is accountable for activity from the Gaza Strip, and therefore is responsible for the severe attacks that were carried out against Israeli civilians,” said the IDF Spokesperson’s Unit in a statement. “The IDF views the terror activity carried out by the Hamas terror organization with great severity, and will continue to operate in a powerful and determined manner. The IDF is prepared to carry out its missions as necessary,” the statement stressed. Meanwhile, rocket sirens were heard throughout the night on Tuesday throughout southern Israel. The IDF said several launches were identified from the Gaza Strip aimed at the Eshkol, Sha'ar HaNegev, and Sdot Negev Regional Councils. The Iron Dome aerial defense system intercepted several projectiles that were launched at the Sha'ar HaNegev and Sdot Negev Regional Councils. The rest of the sirens in other areas appear to be false alarms. The circumstances are being looked into, said the IDF. The air strikes followed a barrage of some 80 rockets and mortars that were fired from Gaza at southern Israel, including Iranian-made rockets. 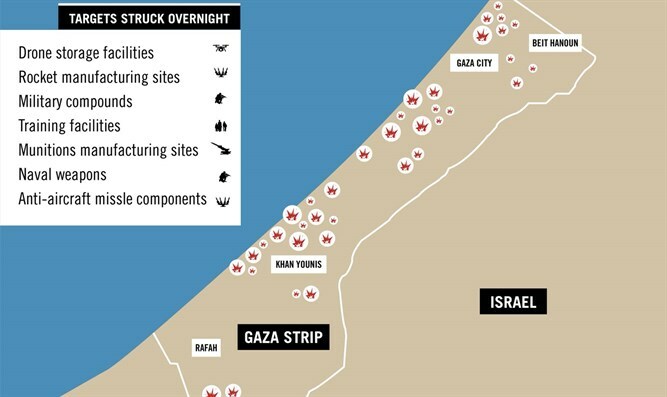 The Hamas and Islamic Jihad terror groups claimed responsibility for the rocket and mortar barrages. 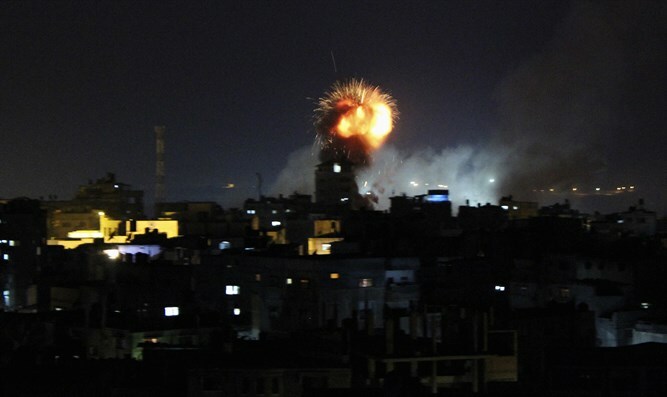 On Tuesday night, shortly after midnight, a rocket fired from Gaza exploded in the city of Netivot in southern Israel. One person suffered shock as a result, but there were no physical injuries and no damage was reported.